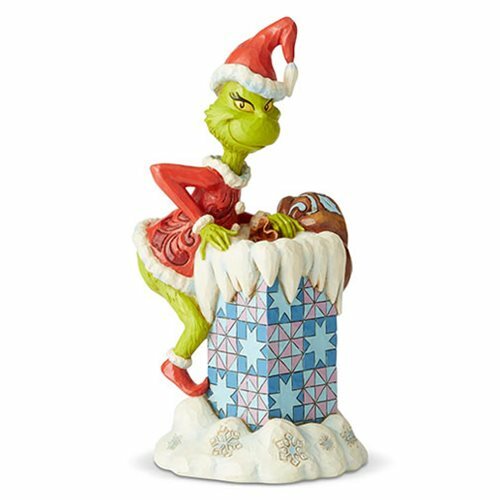 Don't look now, but the Grinch is about to come down your chimney! 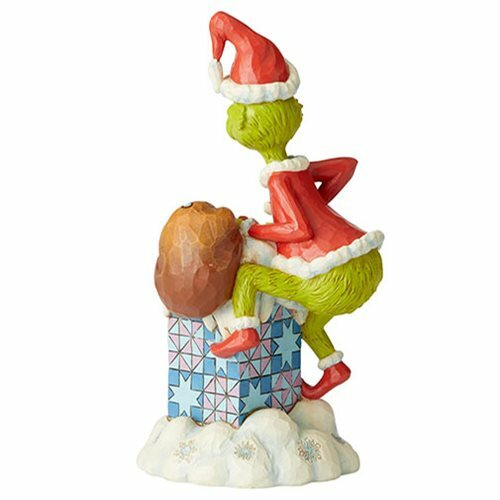 Impersonating Santa (but with significantly different intentions), he looks fabulous in this captivating Dr. Seuss The Grinch Climbing in Chimney by Jim Shore Statue. It measures about 9-inches tall x 4 9/10-inches wide x 4 1/3-inches long and is made of stone resin.